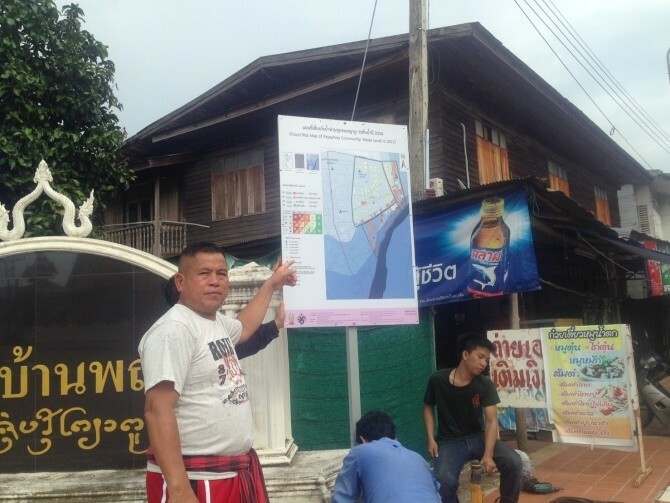 About research: This study aimed to (1) study possibilities to develop and apply gaming simulation (GS) as a mechanism to encourage a community based flood disaster management approach, (2) develop a prototype of gaming simulation for flood disaster management in Thailand and (3) debrief a gaming simulation as a tool for Community Based Disaster Risk Management (CBDRM). 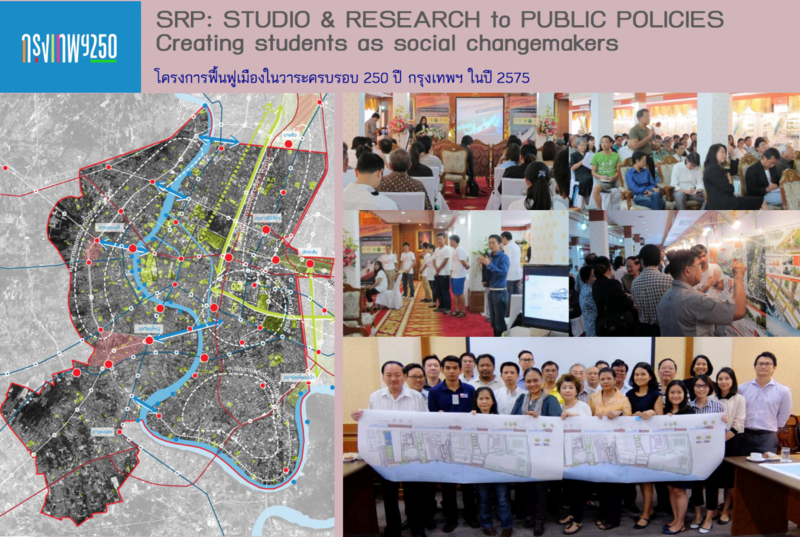 This research was comprised of a participatory action research (PAR) applied GS for Thai CBDRM and involved a field survey, participatory observation, in-depth interview and workshop. 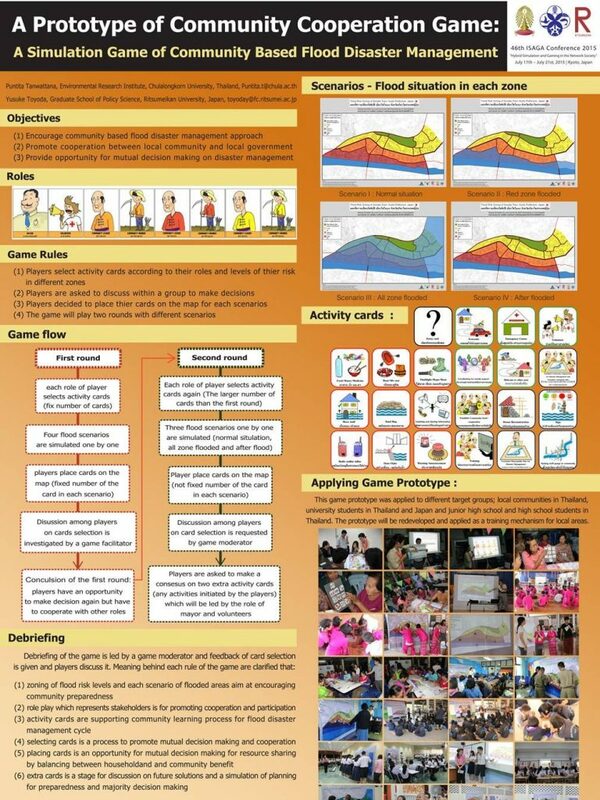 The research outcomes were (1) possibilities to apply GS in a Thai context throughout the flood risk areas in Nan and Parkket municipalities, (2) game prototype named “Community Cooperation Game: A Simulation Game of Community Based Flood Disaster Management”. 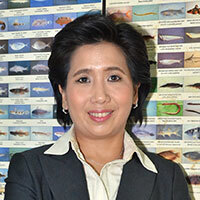 This research debriefed empirical outcome from GS application in Thai case studies.